NSU's Halmos College of Natural Sciences and Oceanography has been awarded LEED® Silver certification by the U.S. Green Building Council (USGBC). This is the foremost program for buildings, homes and communities that are designed, constructed, maintained and operated for improved environmental and human health performance. 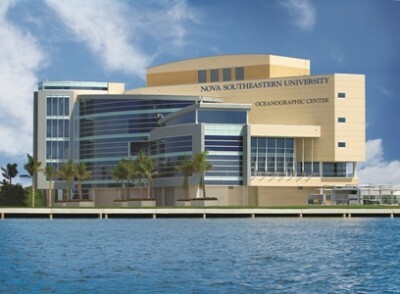 "NSU's Halmos College of Natural Sciences and Oceanography has been recognized for the incredible work and research that is being done, and now it has been honored for its design and construction,” said Richard Dodge, Ph.D., the NSU's Halmos College of Natural Sciences and Oceanography dean and executive director. The Center is something the entire South Florida community can be proud of." In keeping with the dedication to protecting and understanding the environment, the facility was designed incorporating the latest “green” technologies, which resulted in the Center receiving this designation. The Center's design implemented practical and measurable strategies and solutions aimed at achieving high performance in sustainable site development, water savings, energy efficiency, material selection and indoor environmental quality.